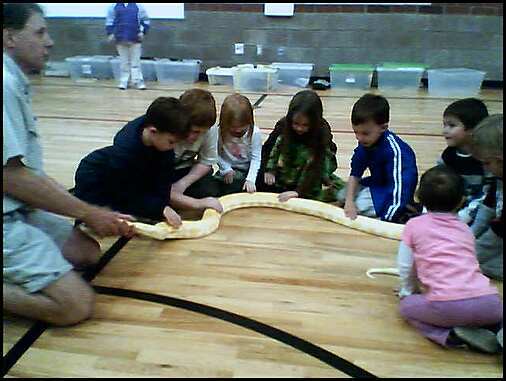 While I was out of town, Krista took the kids to see "Steve and the Creature Feature" at Z's school. 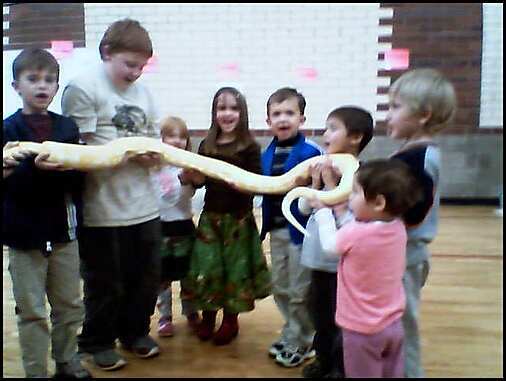 Here are some pictures of Z and A holding and smelling an albino baby python. Pythons smell like buttered popcorn and feel like plastic. So if you're ever walking through the jungle and you start to think, "Mmmm, I could go for some popcorn right now"... RUN!